Welcome to Knit One, Stitch Too! Your Charlotte area source for the best in knitting, crocheting, and needlepoint supplies, accessories, & instruction. 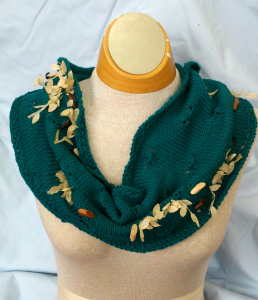 We have a wide variety of yarns, needles, threads, books, patterns, bags, and gadgets. 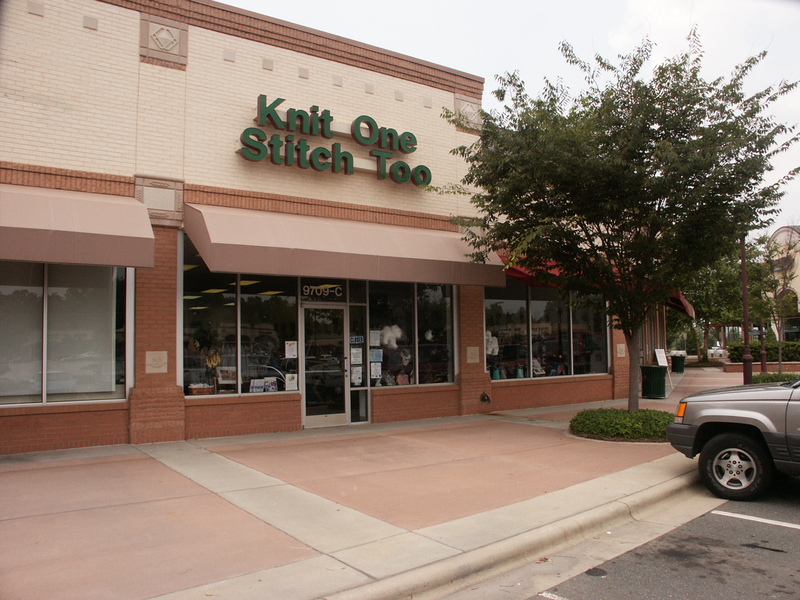 Knit One, Stitch Too was opened in July 2001 by Betsy Weber to offer high quality supplies, accessories, and instruction to those interested in knitting, needlepointing, crocheting, and other needlearts. Over the years we have grown into a community of lively-minded needleartists of all ages, experience levels, and backgrounds who enjoy sharing our love of needle work. You’re always welcome to come in and see what’s new, get help with your project, or just sit and relax with your needles for a while. We love having visitors! We are a full service store so we also offer finishing of knitted, crocheted, and needlepoint items, or we will work the entire item for you. Our Christmas deadline for finishing is October 1 every year. We repair hand made items, and are always happy to provide estimates on repairs or teach you how to make repairs yourself. Yes, we are very late this month, and no, it’s not an April Fool’s Day prank. You might have noticed that I have been out of the store a lot over the past week. After talking about it and planning for it, we finally got our house on the market on the 11th. This has been almost a full time job sorting and packing and cleaning out. If you haven’t sold a house recently you wouldn’t believe what you have to do to make your Realtor happy. There can’t be anything on any flat surface including the kitchen counters. I will be living without my toaster, food processor, and coffee maker. I drew the line at the microwave since I actually do lots of cooking in it. Then you take out half of everything in the house from clothes to furniture to items in drawers so it looks like there’s a huge amount of space. And then, of course, you have to keep everything spotless. Wish me luck! What’s new? As usual we have some great new yarns. I know I always say that but since I do my very best to not buy ugly yarns, it makes sense that what we have coming in is great, right? The first one if from Skacel. You’re familiar with Concentric, the 4 ply alpaca gradient that changes color one ply at a time so it blends beautifully from one color to the next. Cotton Concentric is Skacel’s newest yarn. It works just like Concentric in that it’s 4 ply and changes color gradually. However, Cotton Concentric is a DK weight and boasts 929 yards per cake. That’s plenty for a generous shawl or a summer top. The other new yarns aren’t really new. Skacel has sent us Abracadabra. We’ve had this before and everyone loved it but then Skacel stopped selling it. Now it’s back with several lovely colors. This is a DK weight Merino, Polypropylene, nylon blend that is white with a slight sheen. When exposed to sunlight, it changes color and holds the color until the sunlight is gone! It’s tremendous fun. I wish I had a young someone to knit a shirt for who would be excited to go outside and watch that shirt change color. Adults just don’t get excited over fun things like that. We have a new shipment of Rayon Metallic from Blue Heron Yarns. These are all tonal varigations in wonderful colors for summer. It’s a DK / light worsted blend of rayon Viscose and Metallic so it has bits of shine throughout while being beautifully soft and draping just as you expect of rayon. It has 550 yards and a 4.6 out of 5 rating on Ravelry. 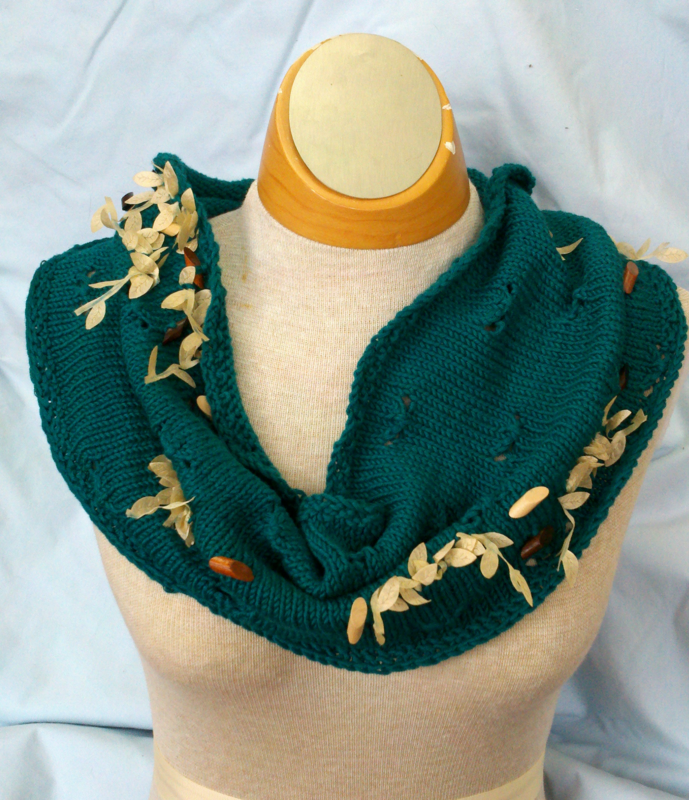 There are over 5000 projects using it on Ravelry if you want to get ideas. I would use it for a special shawl or scarf. It’s lovely to work with and even nicer to wear. Of course we have wonderful new colors of Cotton Supreme worsted and DK from Universal Yarns just in time for your spring & summer knitting & crocheting. They sent us some great new colors of Bamboo Pop, too. For all of you needlepointers, we have a shipment of Stitch & Zips in. These are great little stitching projects with fun designs. These are small so they’re done quickly, and include glasses, cell phone, or card cases so when the stitching is done you just zip them up – no finishing needed! And they’re small enough to be very portable. I usually have one with me to work on when I have a minute. They also make wonderful gifts. Stop by & see them soon! Moonlight Madness is the 19th this month so be sure to make your reservations by the 17th if you plan to attend. We’ll have our annual Easter Egg Hunt with John hiding the eggs for us. As usual they will be filled with goodies for knitters, crocheters, and stitchers. You’ll want to attend this month. While you wait, sharpen your egg finding skills and keep your needles moving!